This article describes how interpersonal relationships structures and standards are evolving. By focusing on a social network context, this study examined different factors that can affect forgiveness decision of a victim of an online offense. In addition, it inspected whether the decrease of trust after an online-related offense can be affected by forgiveness. 323 participants took part in this study by completing a questionnaire that recorded different measurements. Structural equation modeling was used as the main technique for data analysis, and AMOS was used as a tool. Surprisingly, while empathy and commitment had no significant direct effect, results showed that the severity of the offense, its frequency and pretransgression trust are the main factors that influence forgiveness. Moreover, a victim's trust towards the transgressor decreased much more in the absence of forgiveness than in its presence. 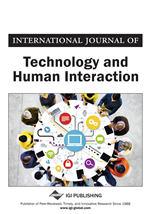 A valuable contribution of this article is in the prospect for related future research as well as the potential for applications that explore new techniques to facilitate forgiveness in the digital age. As individuals are having more access to the Internet and the number of hours they spend online is intensely increasing, Internet-related technologies became crucial tools in people’s lives. Integrating these technologies in varied aspects had - and continues to have – a noteworthy impact on societies in different forms. For instance, Facebook became widely used in people's everyday social activities where communities are emerging online, and relationships are initiated, developed and ended. Despite the fact that the digital age’s effect on interpersonal relationships is still growing (Anderson & Rainie, 2010; Hampton, Sessions, Her & Rainie, 2009; Leggett & Rossouw, 2014) and the structure and standards of such relationships are evolving, societies are urged to redefine the actions that are publicly applicable and suitable in digital settings. At the heart of the online social space, trust is considered to play a key role in bolstering successful interactions, which attracted many researchers (Adam & Spedding, 2007; Whitty & Joinson, 2008, Williams & Kitchen, 2009). However, in online communications, relationships sometimes go amiss because of an upsetting or hurtful deed even from those we trust the most. While trust between individuals is argued to help resolve conflicts (Lewicki & Wiethoff, 2006), forgiveness is believed to play a key role in repairing interpersonal relationships after a transgression (Griswold, 2007; Marsh & Briggs, 2009). Forgiveness has also shown many important benefits like reducing negative emotions (e.g., sadness and anger) and improving individuals’ health by lowering blood pressure, stress and depression risks, as well as rising spiritual and psychological welfare (Kelln & Ellard, 1999). Moreover, studies show that forgiving improves connectedness and cooperation within a community by increasing acceptance and understanding between community members, as well as reducing guilt and strengthening solutions for conflicts (Rusbult, Hannon, Stocker & Finkel, 2005; Vasalou, Hopfensitz & Pitt, 2008). Whereas scholars across a variety of disciplines have studied trust in online settings, much less attention has been paid to forgiveness. Nevertheless, many of those who study forgiveness relate it to forgetting, claiming that forgiveness benefits cannot be fully exploited in the digital age when the reminder of the transgression is still present (Ambrose, Friess & Van Matre, 2012; Mayer-Schönberger, 2011). However, in this study we focus on the most common conception of interpersonal forgiveness instead of forgetting. By bridging research on trust and forgiveness, we emphasize the need to examine forgiveness in the context in which the conflict occurs and we contribute to the literature in two main ways. First, as there is a lack of studies about forgiveness in the digital age, our study builds upon existing studies to examine if forgiveness can be predicted by the same factors that were proven to affect it in offline settings. In addition, we investigate whether victims’ acceptance and involvement in the used social network have a significant impact on their decision to forgive an offense that takes place on that social network. Second, we inspect if the decrease of trust after and offense can be affected by the presence of forgiveness. To achieve these purposes, two surveys were conducted, and hypotheses were tested using structural equation modeling (SEM) approach. We believe that this study will inspire further research for a better understanding of forgiveness in the digital age. In the following section, we present the theoretical basics of our research hypotheses and questions. We state the methods we used in Section 3. Sections 4 and 5 are devoted to explain different results and discussion of findings, respectively. Finally, we highlight the limitations of the current study and discuss perspectives for future work in Section 6.